Chelsea make the trip from west to north London this Saturday, where they’ll take on an Arsenal side struggling to regain their early season form – however, the same could be said of Maurizio Sarri’s goal-shy Blues. This highly-anticipated London derby has thrown up some classics over the years, and looks set to be another full-blooded showdown between two teams with just six points separating them in the battle for fourth. 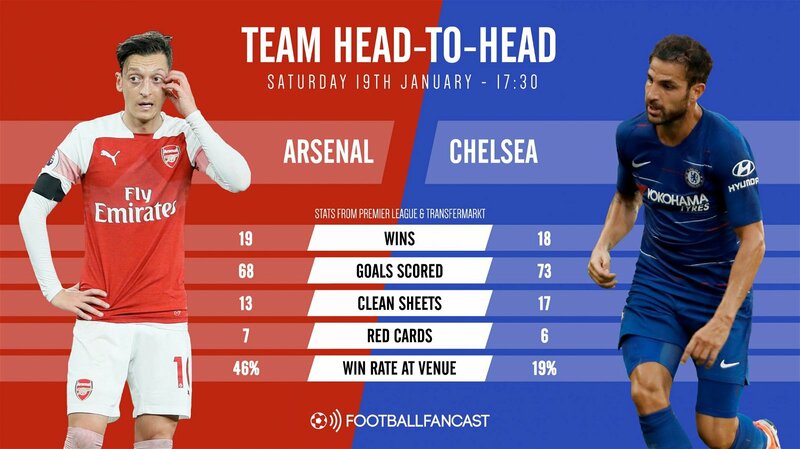 One would have to assume that Chelsea are favourites for this game, purely as a result of Unai Emery’s side being defensively woeful of late and far too reliant on the goalscoring talents of Pierre-Emerick Aubameyang and Alexandre Lacazette. Sarri’s men, in contrast, are struggling to score goals but have a fairly solid backline, so this match is a particularly hard one to call. What has changed since the excellent early season form, in which Chelsea won 14 of their first 18 games in all competitions? George: “I think it’s just a lack of goals, to be honest. Alvaro Morata’s form has dived off a cliff, Olivier Giroud has looked poor, and our offensive movement seems to have dried up. Chelsea have been playing for the entirety of the season so far with just two front-men involved in the first-team in Morata and Giroud, both of whom have failed to deliver the goods for Sarri. 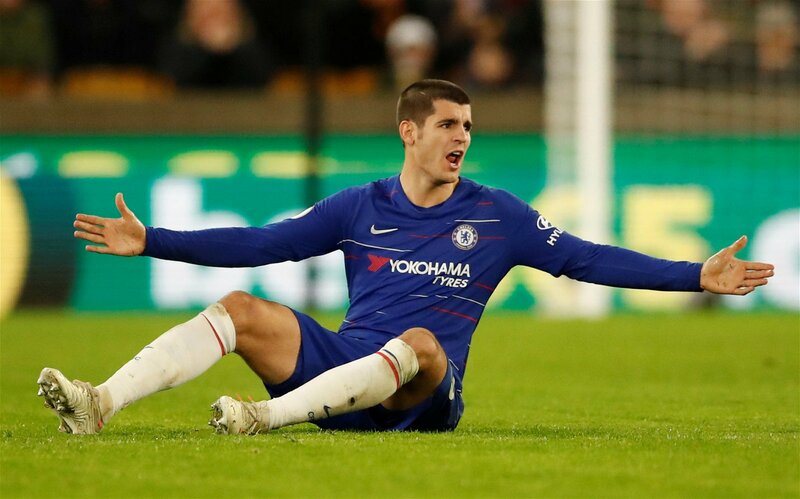 In Morata’s case, the Spanish international has scored just five Premier League goals this season in 11 starts – beginning only half of the Blues’ 22 league games – and has often cut a dejected figure up top as he struggles for a consistent run of goals. Somehow, Giroud has managed to record worse stats, scoring just one league goal so far. Sarri’s former saviour at Napoli in Gonzalo Higuain looks set to sign for the club on loan which could give the reigning FA Cup champions a different dimension up front. 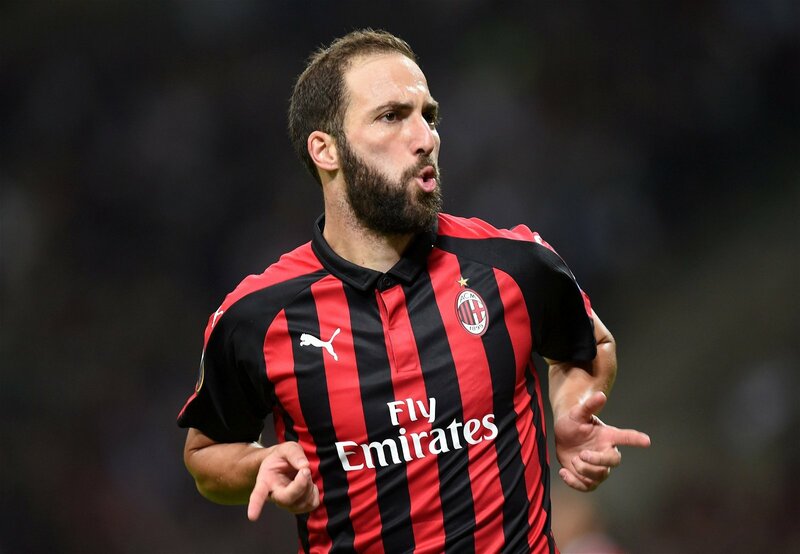 What are your thoughts on the imminent arrival of Gonzalo Higuain? George: “I’m a bit split on the matter. He’s been poor this year at AC Milan, and at 31 years old, he’s not a long-term solution. That said, it’s great to see the board backing the manager, and Sarri is obviously a massive fan of his. 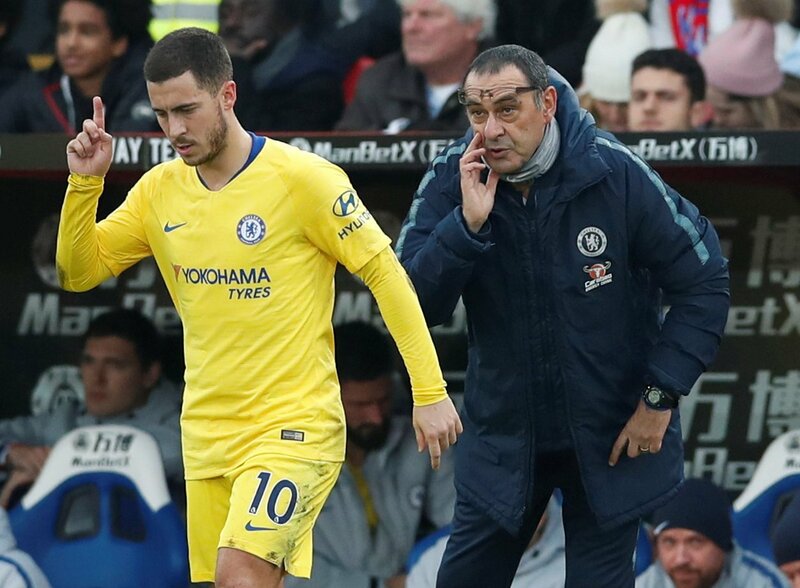 It’s not ideal coming in during the middle of the season, but hopefully he’ll be able to slot into Sarri’s system – that he already knows – nice and easily. Whilst goalscoring may be a particular weakness of Chelsea’s, Arsenal aren’t picture perfect themselves and have a few issues that they need to take a look at. Are there any Arsenal weaknesses you’re worried about Chelsea exploiting? Will: “Have you seen our defence? It’s less weak defending, more the complete absence of it. “The return of Hector Bellerin and Nacho Monreal from injury is a massive bonus, and both should slot straight into the starting XI. Equally, having been benched against West Ham last time out, Lucas Torreira should now be well-rested and ready to come back in and offer a layer of cover in midfield. And where do you think Arsenal can hurt Chelsea the most? Will: “Arsenal’s squad is ludicrously top heavy, but that does mean we have the potential to hurt Chelsea. In Aubameyang and Lacazette, Emery has two top class strikers to call upon, and if the Gunners can get their creative game going and create chances for their forwards then they will score goals. A lot has been made of Mesut Ozil’s future at the club. 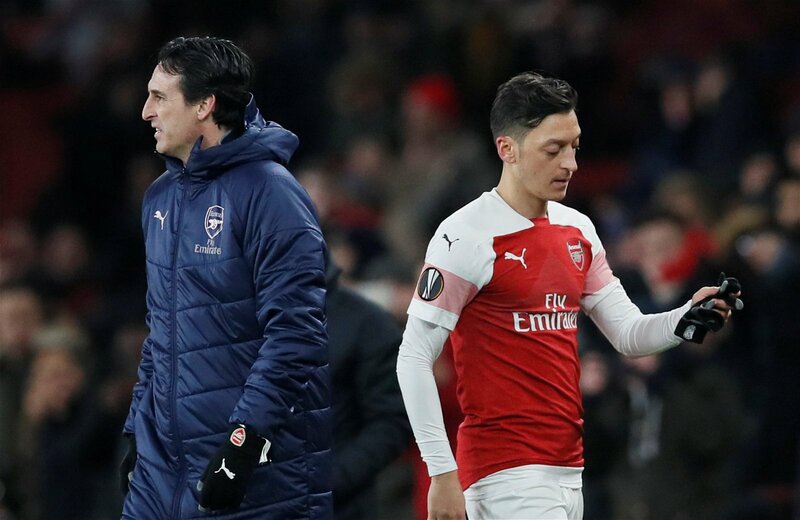 The 30-year-old is the Gunners’ highest-paid player, but has been left out of the starting eleven on nine occasions already this season and it would appear he and Emery aren’t quite on the same page. Would you bring Ozil in from the cold for this game? Will: “If he’s fit to start then he should. We’ve lacked a creator in recent weeks, and if nothing else, Ozil should be able to carve out opportunities for Arsenal’s front-men. On the topic of Arsenal’s front-men, they have been the shining light in an otherwise uninspiring season. Aubameyang is the league’s joint-top scorer with 14 goals, whilst Lacazette has hit half of that tally with seven strikes to his name. Are you worried about the threat of Aubameyang and Lacazette? George: “They’re obviously both incredible players, but whilst our attack has gotten worse over the course of the season, I’ve become much more confident in the state of our defence as the campaign has gone on. The pairing of Antonio Rudiger and David Luiz I think has gone under the radar, and they’ve arguably formed one of the best defensive duos in the league this term. Arsenal are six points behind Chelsea. How big is this game in terms of who gets Champions League qualification? Will: “It’s absolutely huge. A win would cut the gap to three points and then the race is on, but the nine-point chasm that would open up in the event of defeat on Saturday would be insurmountable.